Can you believe another year has passed? It seems like only yesterday that we were printing our fabulously popular Best of Orlando issue — which by the way is the original and best Best of Orlando, not that we're biased or anything — and here we are doing it again. The best food. The best drinks. The best TV news hair. The best place to smoke a hookah. The best blogs. It's everything you need to get along in our fair city. Kind of like an Orlando owner's manual. 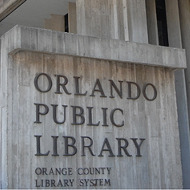 Read what you, our dear readers, think is the best of Orlando. Read what we, our dear writers, think is the best of Orlando. Read it and be wonderful.